Having bought each volume over the years at around $39-49 each, I was floored Amazon has all 6 volumes of the Looney Tunes Golden Collection for about $48 as a one day sale! This is an amazing set, filled with great cartoons and a ton of extras: documentaries, films, commentary, etc. 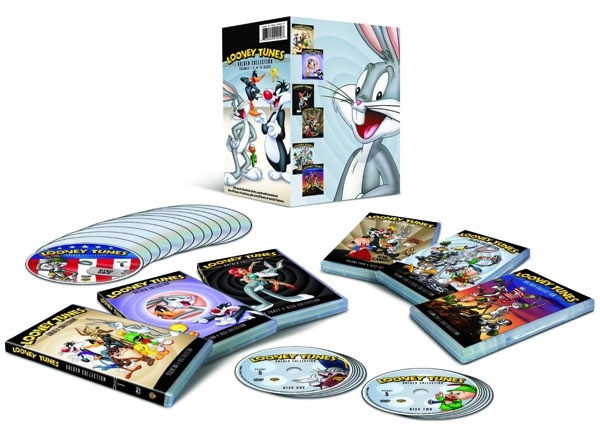 Each volume has 4 dvds, with about 50 cartoons each, so there is a whole lot o’ looney here. Not everything, but one good chunk of it.